The Queen of the venders, La Reina is a grandmotherly saint in a sometimes sinful city. Whereas other venders are known to dish out illegal substances in addition to their more aboveboard products of cigarettes and chiclets.. La Reina instead proffers priceless words of wisdom full of cariño. She ain't no spring chicken (although you'd believe otherwise to see her dancing) so give her your support over the other younger cads in the game. Iconic snacks to try include the amazing mani-moto (peanuts coated in a crunchy salty shell) and the bonbon lollipops in tropical flavours like maracuya and pattiya. 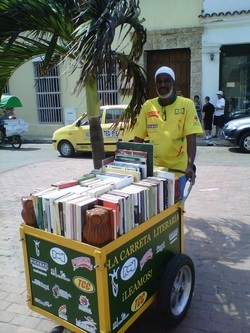 Martin Murillo aka La Carreta de Cartagena is a familiar sight in Parque de Bolivar, where you will find him and his book-laden cart in a shady spot, lending books, reading aloud and generally sharing and promoting the joys of stories. He doesn't sell the books, rather, the carreta works as a mobile library, funded entirely by sponsors and Martin's 24/7/365 dedication to the project. Together, Martin and the carreta, have travelled to literary festivals throughout Latin America, met presidents, celebrities and illuminaries, and have been gifted with an original copy of Love in the Time of Cholera, inscribed to Martin by the great Gabriel Garcia Marquez himself. Look closely if you see Martin reading aloud to a group of enthralled children.. more than likely, the pages of the book he is apparently reading from, will be blank. Imagine their awestruck faces when he shows them! If you believe the world needs to read, be sure to show Martin your support next time your spot him. Where the heck does this amazing woman find the time and energy? 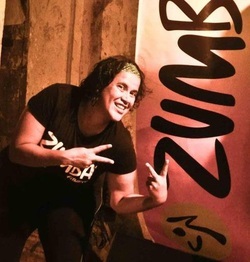 Ervelyne works as a full-time translator, part-time dive instructor AND has somehow managed to turn Cartagena zumba-crazy since she started leading classes here in the beginning of 2012. Zumba is a part aerobics/part dance fitness-y thing that was created by a Colombian named Beto. As a result, of this Colombian heritage, the moves are derived from many of the dance steps popular in the country (cumbia, salsa, bachata, samba, reggaeton etc). It's highly addictive fun. It's also achieving amazing outcomes, thanks to Erv's tireless efforts and personal financial contribution. Erv constantly receives heartfelt messages from people with improved health, self-esteem and energy levels thanks to zumba. Erv has also managed to fundraise and organise donations for the needy children who faithfully attend her public classes in Plaza Trinidad. She would love to do more, but has been hindered by not owning her own sound-system and she is currently seeking donations to raise the $400USD necessary to buy one. Check out her website for more info on classtimes and/or if you can help out with a donation HERE. We love you Erv! You seriously ROCK! The local hero of Cartagena's best online city guide, This is Cartagena, Delimiro Teran, or as he prefers to call himself, El Zanahoriazo (The Carrot Man), is one of our favourite faces of Cartagena. Always dressed (immaculately, one might add) in top-to-toe orange, the ever effervescent El Zanahoriazo is his own best advertisement for the benefits of Carrot Juice. 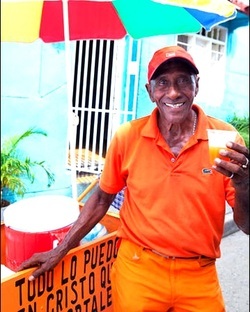 He's been Cartagena's number 1 carrot juice salesman for over 30 years, treading the same path each day and doling out doses of his delicious jugo (and a decent serve of practical wisdom and humour as well) to a legion of regulars around San Diego, Centro, La Matuna and Getsemani. If you spot El Zanahoriazo, be sure to buy a juice, then take your photo with the orange man. He loves the attention. 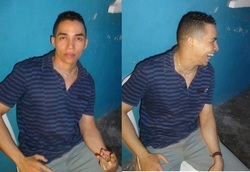 Then upload your photo to the This is Cartagena facebook page. They love the attention too. Disputed chess champion of Getsemani (he claims first position, though others tell me he's actually number 2), wheeler and dealer, gym-aficionado, philosopher, humorist; Elkin Betts is a Getsemani treasure. You will find him cracking jokes in Plaza Trinidad most nights of the week, ready to take on any challengers with his chessboard. If you are deft at chess, be sure to let him give you a game. If not, just pull up a chair beside him and listen as Elkin shares his world views and generally habla mierda. He's hilarious!